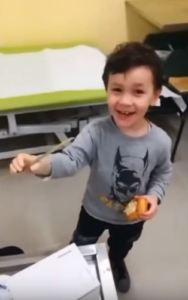 Little Boy Born With 1 Hand Can’t Contain Excitement Trying On “Miracle” Bionic Arm. For Giulio Spaziani, life has always been more challenging than that of a typical four-year-old. 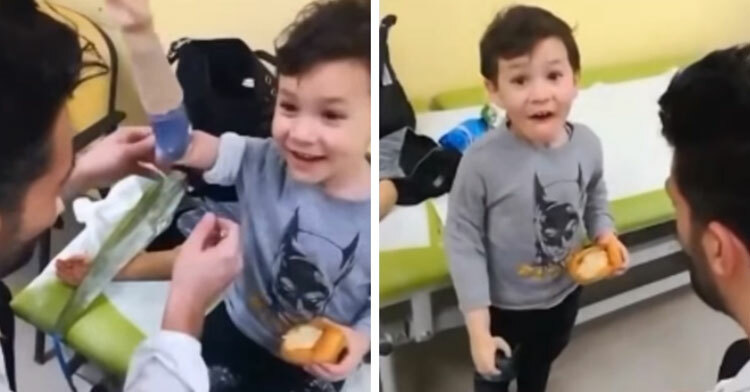 The little boy from Pomezia, Italy, was born with an underdeveloped arm that ends just below his elbow. His parents, Samuela and Massimo, weren’t prepared for the birth defect, which an ultrasound missed during pregnancy. Still, the family adjusted and learned to accommodate Giulio’s needs. While Giulio has been wearing prosthetic arms since he was just a few months old, they haven’t done much to help him be more independent. 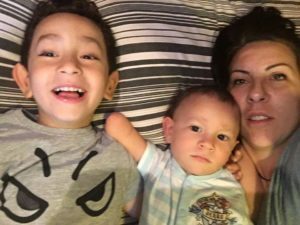 But a world of possibilities just opened up for him last month thanks to doctors in Palestrina. 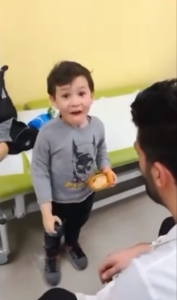 On February 22, Giulio and his mom visited an orthopedic clinic, where Samuela recorded a beautiful first for her son. “What did we come here to do?” she asks Giulio in Italian. “And what does the new one do?” Samuela asks, to which Giulio replies by using his one hand to mimic a sock puppet. 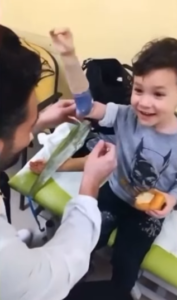 After that, the video cuts to orthopedic technician Daniele Zenardi fitting Giulio with a brand new bionic arm which he can move through electrical signals. 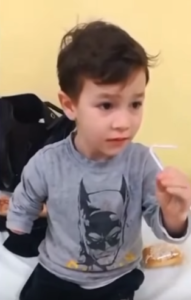 The little boy looks up at his mom, stunned at his ability to open and close the bionic hand. He’s even more ecstatic when he next picks up an object — something he probably thought he’d never be able to do with that arm. “I want to keep it,” he adorably tells Daniele. What a life-changing gift! Guilio must be so excited thinking about all the things he can now do. 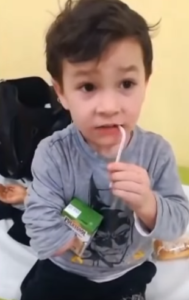 Watch as the little cutie tests out his new arm in the video below, and don’t forget to share. 1000s Of Strangers Kneel & Sing Emotional “Ave Maria” As Notre Dame Burns. What We Can Learn From This School That Dropped Mondays. A Group Of Parents Went Back To School & They’re Using What They Learned To Help Their Kids.